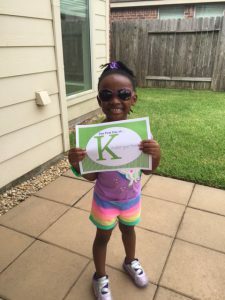 On August 22, 2016 Homeschool Kindergarten began for my four year-old! I’m pretty sure I was the one who was the most excited. I couldn’t even sleep the night before! We had a great day, but I quickly realized that the homeschool schedule I’d established was not going as planned. My perfect schedule involved waking up at 7:30am, being dressed and done with breakfast by 9:00am, and beginning our school day shortly after. I anticipated finishing up around 2pm. In actuality I didn’t wake up until 8:15am. Besides waking up abruptly and frantic, I’m not a morning person, so it takes me a while to clear the cobwebs from my brain. Meanwhile, my daughter woke up bright and early at 7:15am, and she was enjoying breakfast with her dad/my husband. By the time I got beds made and both of us dressed, it was 10am. I was an hour behind schedule. I was a little panicked but, I thought, “No big deal. I’ll make up the time elsewhere.” I was prepared to cover all six subjects on Day 1: Bible, Spelling, Writing, Math, Science, Reading. I had everything planned out for the day and I felt like my home school schedule was back on track. When I checked the time and noted it was 10:50am, the cold sweats began. We’d only covered the day, month, year, weather, and Bible. By my schedule we should have covered at least three subjects by now! This was NOT good. I wanted to keep going, but my munchkin was begging for a snack (scheduled at 11am). Grudgingly, I consented to stopping 10 min early and began preparing her snack. I was already failing on the first day. Then something special happened. My daughter came into the kitchen and said, “Mommy, I love you. I’m so glad you’re teaching me. I’m having so much fun!” In an instant, my feelings of failure faded. As I listened to her recount everything we’d reviewed in the last 50 min, I prepared her juice and fruit snacks with joy. I realized my schedule didn’t matter if she wasn’t engaged and retaining information. I decided to relax and enjoy myself because my goal was to help her enjoy herself. Don’t be attached to your homeschool schedule. I love schedules! I am probably the most predictable person I know because I like to have everything planned out. I’m definitely not a fan of surprises. However, on my first day of homeschooling I realized that I had to put down my schedule for a bit and let the day happen. 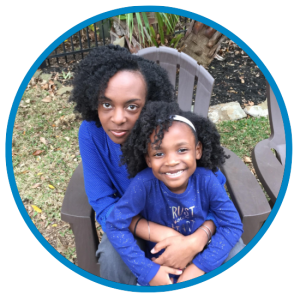 If I’d been too rigid, I could have risked ruining my daughter’s first day, and setting an unpleasant standard for her learning experience. Something as simple as letting my daughter have her snack a few minutes early was a challenge for me (remember I am an advocate for solid schedules). I’m so glad I didn’t allow my preference to overshadow her needs. She needed to take a break and I realized I need to be sensitive to that. When I follow her lead, she retains what I teach her and looks forward to learning more. If your schedule falls off track, don’t do what I did initially. Don’t give yourself a hard time about time ;). As long as you are committed to teaching your child, you don’t have to worry about missing something or losing time. I was ready to brand myself as a failure, but Sydney gave me a much needed pat on the back. So many parents have told me this, and I realized how true their advice was on this first day. Being flexible allowed me to enjoy every song, exercise, craft, question, etc. 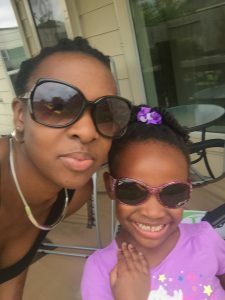 I was truly in the moment with my daughter and I am grateful for that. What a privilege to have the opportunity to experience precious moments with my child. Make the choice to be flexible with your homeschool schedule to encourage a positive learning process! Are you interested in learning more about homeschooling? 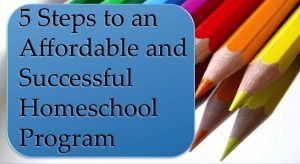 Click Here for access to FREE home school resources! I’ve found your article very interesting, and I really enjoyed the reading! I’ve always dreamed of doing homeschool with my kids since they were born as I don’t have good memories of school. I personally think that school is boring to death, and there are a lot of violence as well. Some of my friends had the courage to do home school with their children, and the result is fantastic! They learn to be independent and that way they learn much better. I am already impatient to read the next article! Thank you so much for your comment! Yes, homeschooling is a bit scary at first (I’m definitely still a newbie), but it is so rewarding as well. I’m so glad my article was helpful and reduced your worry. Best of luck to you! Lots more helpful content on the way! I have always had an interest in home schooling but never got the chance with my boys. I know you have to make it happen, and I didn’t, but I do know many of mums now that are either travelling down that path or are looking into it. I will definitely recommend your site to them, and as for the flexibility… you sound a lot like me. Thanks again for providing this great info. Hi Kay! Thank you for your comment. You definitely have to jump in with both feet, but it’s worth it. Thank you for recommending my website. Lots more helpful information coming soon!